We’ll be closed on Monday 27th May for the Bank Holiday. 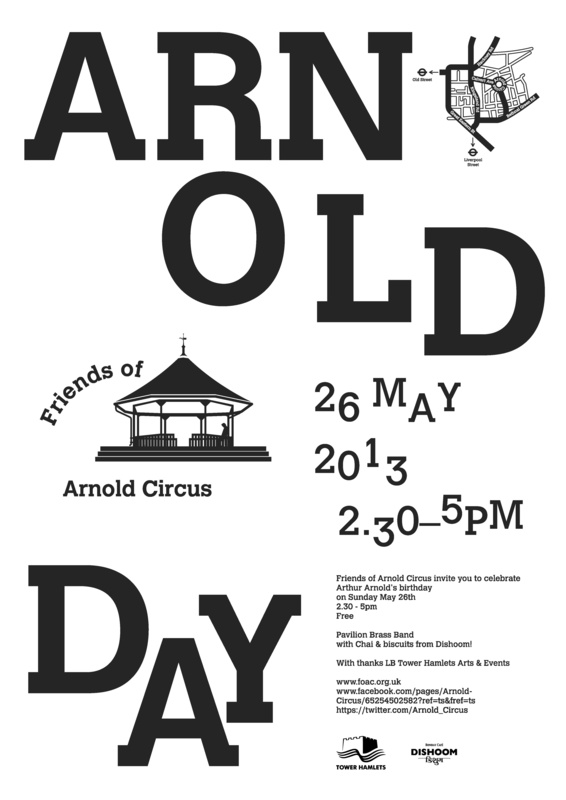 On Sunday 26th May the Friends of Arnold Circus will be holding their annual ‘Arnold Day’, with the usual great range of things to do for people of all ages plus a brass band! It promises to be another great afternoon out right on our doorstep. 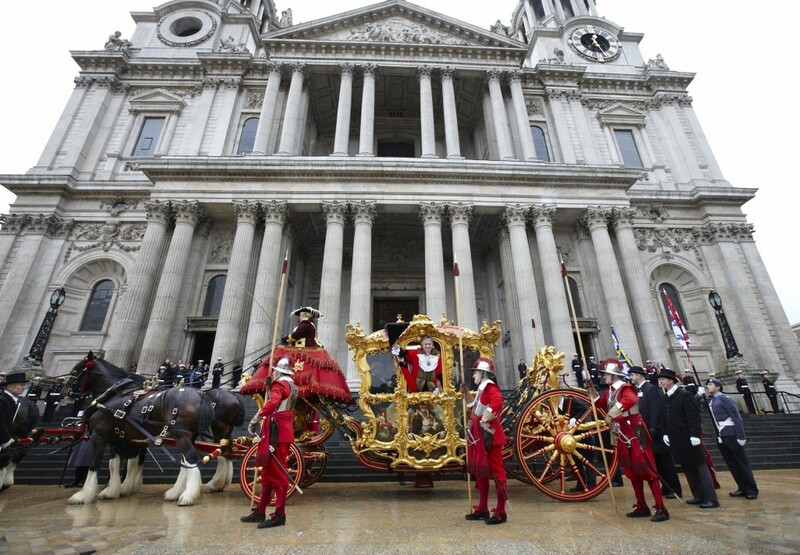 This Saturday 10th November is the Lord Mayor’s Show, a brilliant spectacle for a dull autumn day. Wrap up warm and take a brolly – a flask of something good and hot might be an idea too – and take in the pageantry and fun. There are no fireworks this year, but the tradition of a flotilla has been resurrected with the Lord Mayor taking to the barge Gloriana at Westminster. Check out the full details at the Lord Mayors Show website. We’ve searched and searched for free local events and have only been able to find two… Still, there are loads of places nearby that you can check out – take a peek at our links on the right of the webpage. This is the last of our weekly ‘free stuff to do’ blogs, but we’ll post occasionally when we hear about anything worth seeing. We will still be posting news about the launderette and anything of interest for the Boundary community, so keep visiting! Don’t forget that the launderette is open 8am until 7pm every day except Bank Holidays, so make the most of your time and get a service wash! 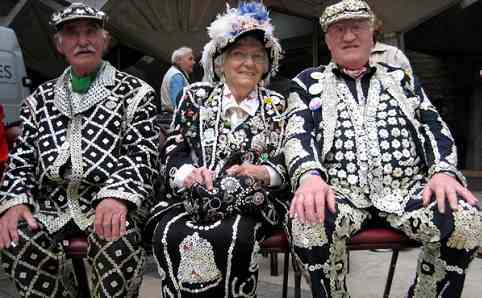 It’s the spectacular Pearly Kings & Queens Harvest Festival on Sunday, 30th September, at 1pm in Guildhall Yard. This annual event features traditional entertainment including maypole dancing, Morris dancers and a marching band. Then the Pearlies will parade around the City of London to St. Mary-le-Bow Church for a harvest festival service at 3pm. The event is free but all harvest festival offerings will be donated to the Whitechapel Mission. See the Pearly Society’s website for more information. Postponed from last Sunday due to rain, the Friends of Arnold Circus bulb planting takes place this Sunday, 30th September, from 2pm until 6pm. Fingers crossed the weather co-operates! Keep an eye on the FOAC website for the latest info. 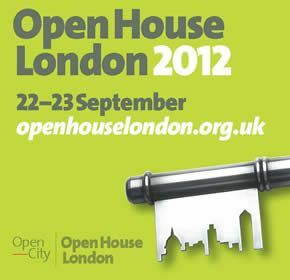 It’s Open House weekend in London. On Saturday 22nd & Sunday 23rd September over 800 properties across the city will be open to the general public, many of which are usually firmly closed to us, and there will be special events too. Needless to say we’ll be open as alway, so if you’d prefer peeking around an interesting building rather than stare at your smalls as they’re washed and dried, leave your laundry with us for a service wash and enjoy yourself! 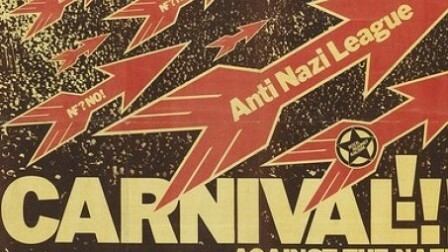 As ever, we have more links for more ideas on the right of the webpage. There are so many places to visit locally and the programme does change, so we’ve provided links to the local area pages. You can visit anything from a small terrace house to a grand mansion, and every type of office, place of worship and much else besides. 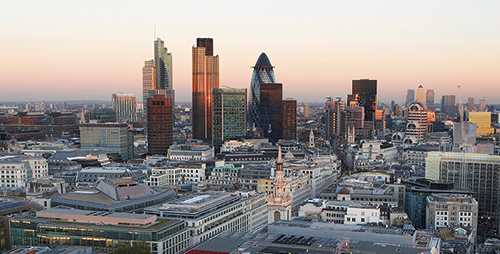 The Open House homepage offers information and links for the whole of London, and the Online Guide allows you to check on individual boroughs and properties. There are pages for Tower Hamlets, Hackney and the City so there’s plenty of choice! 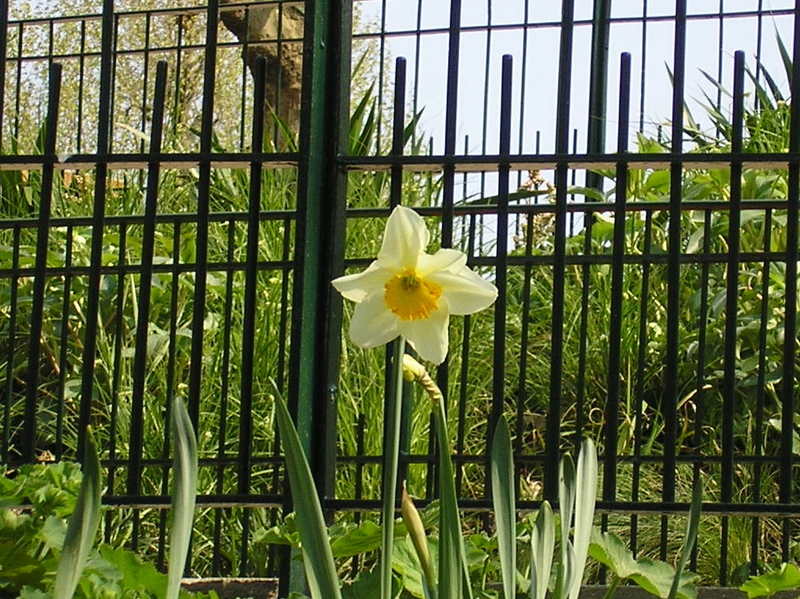 The Friends of Arnold Circus bulb planting afternoon has now been postponed. Check the FOAC webpage for more information. It looks like it’s going to be a nice weekend – sunny and not too chilly – keep your fingers crossed. We’ve found a few things to see and do for free, and there are loads more ideas on our links to the right of the webpage. As usual, enjoy your weekend whatever you do! On Saturday 15th September the Great River Race starts from Millwall Riverside, Westferry Road E14, at 10.40am and will pass under Tower Bridge at around 11.15. 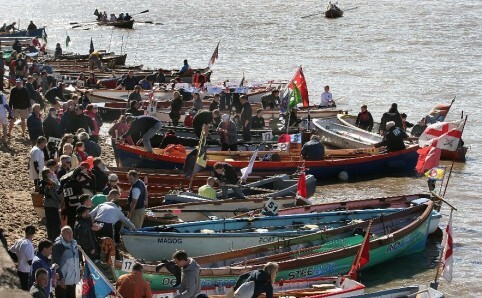 Over 300 rowers will be taking part in boats ranging from small one-person rowing boats to Hawaiian war canoes, Chinese Dragon Boats and Viking longboats. There will be entertainment and refreshments – check out the Time Out webpage and Great River Race website for more information. The annual Brick Lane Music Festival takes place this Saturday 15th & Sunday 16th September. Some of the UK’s top DJs, including MK, Khalil and Thristian will be making sure Brick Lane shakes to the sounds of classic hip-hop and funk. More information is on the Time Out webpage. The South Bank Centre will be hosting a weekend of fun and games from Friday to Sunday. The Hide & Seek Weekender will include games that appeal to adults and children alike – from competitive sandwich making to punching custard. For the imaginative, weird and wonderful games on offer check out the Hide & Seek website. Also, the Love Music Hate Racism exhibition continues at Rich Mix. On Saturday 15th September there is an all–day event, (which does charge from £3), that includes film screenings, discussions, poetry, music and comedy. 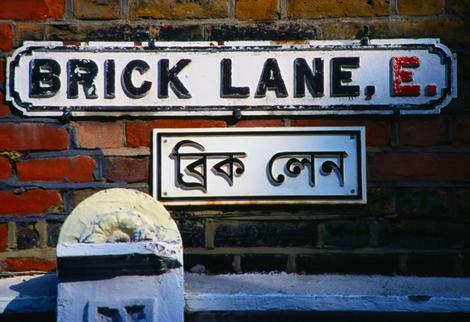 Local photographers and film-makers Phil Maxwell & Hazuan Hashim will be showing their film ‘From Cable Street to Brick Lane’ as part of this event, with Phil taking part in a Q&A session afterwards. Visit the Rich Mix website for more information.